XR-5 is used as a steep wall liner at a landfill in Brussels, Belgium. 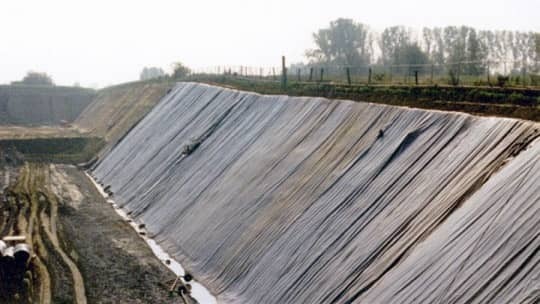 The ILVA site near Brussels, Belgium began using 8130 XR-5® as a steep wall landfill liner in 1998 and continues its successful application today. The high strength of the material is unmatched in an exposed wall application. When completed, this landfill will be lined for over 5 million square feet of XR-5.